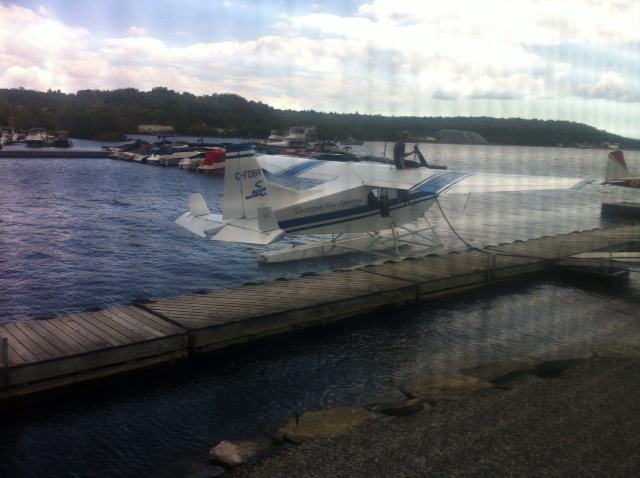 At the Parry Sound, Ontario airport, where we land every summer, there is an aircraft company. The Found Aircraft company has been building planes since the 1940s. I had always heard they were heavy, ungainly, and climbed a lot like a brick that had been heaved into the sky. They are also apparently quite rugged, which is nice in Alaska where you run into things like trees, gravel banks, and bears. Adam spotted this one close to home.